I started thinking about the chorus of the song below. The song has an entirely different purpose, I doubt William D. Cornell had Christmas in view at the time of its composition. Nonetheless, the coming of Christ ushered in the opportunity for all of us to experience the presence of the Holy Spirit who brings us the peace the songs speaks about. The Father gave authority to the Son to send the Holy Spirit, with the results you are now seeing. This a paraphrase of Acts 2:33. At the very, very end; when atonement had been purchased and death had been conquered, we see Jesus in his final moments with his disciples in John 20:21 and 22 and there again is a reference to peace. For you and for me I would wish the words of the song that follows. Today we pay a return visit to Gordon Rumford Ministries. I pored over several excellent devotions before choosing this one. Click the title below to read at source and then take a few minutes to look around at some of the other items available there. We are told very little about the upbringing of Jesus. The Gospels are very silent except for one incident in Jesus’ life when He was twelve years old (Luke 2:41-50). However, there was a custom among the mothers of Jesus’ day that we do know about. When a Jewish mother put her young children to bed it was the custom for them to teach their children certain prayers. In particular one prayer the mothers taught was to have the child recite Psalm 31:5. There is little doubt that Mary taught her remarkable son Jesus to say this prayer. So this is one thing about our Lord’s childhood of which we may be reasonably certain. Jesus likely prayed this prayer each night at least during His formative years. Perhaps He prayed it every night as an adult as well, we simply do not know. However, we most certainly know that in His darkest time, when He hung on the cross to pay for His people’s sins, He uttered this prayer. It is the last of the seven things He said while on the cross. During the first three hours on the cross, Jesus endured the wrath of the people gathered around the cross. Now that the physical alternatives were exhausted, the people turned to verbal abuse from about 9 am to noon. Then for the next three hours from noon to 3 pm, a darkness hung over the land and Jesus was forsaken by the Father in order to save sinners from eternal destruction. The first three words of Jesus from the cross addressed the needs of others. The last four spoken in quick succession gave expression to His own needs. Jesus always saw to the needs of others before attending to His own concerns. This prayer of Jesus is a remarkable one for us to pray as we endure suffering in our lives. Jesus, as we have said, had just endured to worst the people could inflict. Now, as He is about sleep the sleep of death He prays this prayer perhaps for the last time. The lesson for us is that we need to become children of God in order that we may pray this inspired prayer in our times of trouble. In fact, becoming a child of God is, in one sense, committing ourselves to the Lord for Him to save us. We pray to God and dare to address Him as “Father”. Then we place ourselves into His hands. Putting ourselves into God’s hands means that we come under His control. We submit to Him in everything. What we commit to the Lord is our spirit, our eternal being, our essential selves. My great desire is that everyone who reads this devotional would pray this simple prayer. Fancy words or prayers written by others are not needed. We can simply take this verse of the Bible and use it as the one to bring salvation to ourselves. If we are suffering and asking God for help in our situation, then this prayer would be a wonderful way to end the time of prayer. 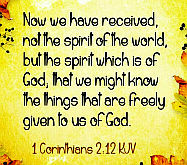 Will you submit to what God has for you as long as He will receive your spirit? Will you call out to Him and use the tender word “Father”? Do so today. He is waiting to hear from you. Today, as yesterday, we’re highlighting a multiple-writer devotional blog featuring women authors for the first time here at C201. This one is called Putting on the New, and the particular devotion we’ve chosen today is by Tina Dorward. Click the title below to read this at source, and then look around the rest of the blog. For quite a while, that song “Happy” by Pharrell Williams was extremely popular to the point that people were making their own videos lip syncing to the song. It is a catchy song and I think everyone wants to be happy right? We do stuff we enjoy, spend time with people we like, and get a job where we hope to make a difference all with the intention of helping us feel happy. All of these activities are things we do; they are external things we to some extent feel we can control. Yet in life, there are so many things that happen to us that are sometimes of our doing and sometimes completely out of our control that aren’t good. How are we supposed to be happy then? While happiness is often more externally dependent, joy on the other hand is internal, it comes from within our spirits and can be present in spite of the circumstances we might find ourselves in. I’m not speaking of a polly-anna fake happiness but a joy that allows us to continue to shine Christ’s light to others, to exude a warmth and a contentment regardless of what curve balls might be coming our way. It’s easy to get caught up in our circumstances; let’s face it, life can be really tough at times. A year and a half ago, I was going through some rather difficult circumstances. I went to help my Dad take care of my mom who had advanced emphysema and was just starting home hospice. What the hospice workers thought would be a few short weeks turned into 8 weeks, all but 11 days of which I was there, four and a half hours away from my husband and kids helping take care of my dying mother and trying to be a comfort to my father. They were some really special times with both my mom and dad that I will treasure forever and yet they were some of the most horrible days of my life as I watched my mom cling to life here and her body waste away. Many days, although I was incredibly sad, I continued to feel joyful as I thought about how my mom would no longer be suffering, how her breathing would return to normal and how she would soon be praising God in person! I played Christian songs for her that spoke of the hope we have in Christ. I knew she was a believer and where she was going after she died and that some day I would see her again. The promise of Christ, His saving grace, the encouragement and truth of Scripture, all of these things enabled me and enable all of us to feel joy in spite of what we face here on Earth. The key is we need to remember to allow those truths to be forefront in our minds and to keep our focus on Christ and Christ alone so we don’t succumb to the temptations that try to draw us away. Maybe it’s the pace of life increasing generally, but more and more devotional writers are turning to the theme of rest. Today’s thoughts are from the blog Inspire a Fire, appearing here for the first time. The author of this post is freelance writer Cathy Baker. Click the link below to read at source. What marks the beginning of your vacation? Is it the moment you fill your gas tank and begin merging with fellow vacationers onto the highway? Or maybe the sound of satisfaction that comes as you slam your car trunk for one last time before heading out? For me, vacation actually begins a week prior to the filled tank and loaded trunk. If you’re a list-lover you know the release that’s felt while listing out all the needs for the trip, followed by the sense of accomplishment as each one is checked off before packing it away. Books, magazines, laptop and reading glasses always top off my list. Last year, however, I felt the tinge of a holy adjustment coming my way every time I glanced at the word laptop. Granted, with three grandchildren in tow there wouldn’t be a desire nor the time to peruse the internet, check and respond to email, or write blog posts during the day hours. I do, however, admit that skimming the internet before bedtime is one way I relax so taking the laptop has always been a no-brainer. The details of soul rest may look different for each of us, but probably includes some combination of silence, solitude, nature, your people, and the willingness to come into the presence of Christ and simply be ourselves. I felt ambushed by the uneasiness that crept up on my holy adjustment as our departure day drew near. What did I think I’d really miss in 7 days? A new-found freedom emerged as I carried out my beach days with little to no thought of the laptop. I felt no obligation to check Facebook or email. I tried to rest in the fact that if someone didn’t receive an immediate response from me, all would still be well in the end. I lost nothing by leaving my lap top behind but I did gain a type of rest that was both soothing and energizing, leaving me with a renewed appreciation for God’s promptings as well as His people. I’m not suggesting everyone should leave their laptop behind, but I don’t see it reappearing on my family beach trip list again. Ever. The soul rest Emily eluded to in the above quote was mine for the taking in the combination of silence, solitude, nature, my peeps, and most of all, in trusting that the presence of Christ was enough. More than enough. So, how about you? Have you left your laptop or other device behind while on vacation, and if so, what’s one thing you learned as a result? Taking time off is not a punishment or a dare or a rule. It is a gift. It’s taking a day to open your hands toward heaven and acknowledging that you don’t make the world go around. Today we conclude a 3-part series from Rick Warren’s devotional blog: (click the section headers to read at source). To catch up on the whole series at his site, use this link. In John 21, Jesus told Peter that he would die a martyr’s death. Peter’s response was to glance at John, who was standing nearby, and ask Jesus, “Lord, what about him?” (John 21:21 NIV). Peter wasn’t satisfied with God telling him what was going to happen in his life. He wanted to know about John’s future as well. Jesus responded by saying, “If I want him to remain alive until I return, what is that to you? You must follow me” (John 21:22 NIV). “What is that to you?” My wife, Kay, calls that the WITTY principle. We get ourselves in so much trouble when we start comparing ourselves to others. But when we do this, God says, “What is that to you?” He wants our focus to be following him, not worrying about other people. Have you ever heard someone say, “God told me to tell you”? My response to that is, “Are you sure about that?” All believers have a direct line to God. And God doesn’t have to tell someone else to tell you. He can talk to you directly. Now, does God ever speak to others through another person? Of course he does. But there are three guidelines you need to follow if feel God is using you to speak to someone else. Be patient and pray. Give God a chance to speak to that person directly. God will typically use you to confirm in someone else’s life what he’s already told them. So when you share your words with someone it won’t be a big surprise if it’s really from God. God will usually use you without you being conscious of it. If God is going to speak through you to others, he will often do it in a way that you don’t even realize it was God speaking through you. But the person on the receiving end will recognize its truth. When you get an idea and you are wondering if it is from God, the sixth question to ask yourself is, “Is it convicting or is it condemning?” If it convicts, then it is from God, but if it condemns then it is from Satan. A lot of Christians live under condemnation, or constant guilt, and they think it is from God. It isn’t. Condemnation comes from Satan. But conviction comes from God. The purpose of condemnation is to criticize and make you feel guilty, usually in a vague way. If you’ve ever felt guilty but you couldn’t point to anything specific, or if you’ve ever had a feeling of worthlessness, that is condemnation from Satan. 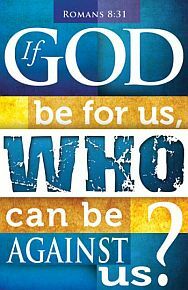 But Romans 8:1 says, “There is no condemnation for those who belong to Christ Jesus” (NLT). God will never attack you; he will never say you’re worthless or unlovable. In fact, in Revelation 3:19 God says, “Those whom I dearly and tenderly love, I tell their faults and convict and discipline. So be earnest and repent (changing your mind and attitude)” (AMP). As soon as you start to confess and change, you will no longer feel any conviction. It’s short-term. But condemnation is Satan’s way of making you feel worse and worse. It doesn’t go away even after confession. It’s like the American court system. First there is the conviction of a crime in the court; then comes the condemnation, or sentencing which can last for years. But God doesn’t work that way. In God’s justice system the Holy Spirit convicts us of what’s wrong in our life and we admit it. Jesus pays the condemnation. He serves the punishment for our sin through his death on the cross. And we are free to live the way God created us to live, to live the way Jesus enables us to live. That’s the grace of God. The final test in recognizing God’s voice is to ask yourself, “Do I sense God’s peace about it?” If you think you’ve heard from God, it measures up to God’s Word, you’ve gotten advice from other people and passed the other tests, but you still feel confused or anxious, then it doesn’t pass the seventh test. Why? “God is not the author of confusion” (1 Corinthians 14:33 NIV). So you wait and remain patient until you sense God’s peace. God is a perfect father. Parents don’t want their kids to feel worried or pressured when they ask them to do something. No, they want their children to feel encouraged. That’s the same way God wants to relate to you. He doesn’t want you to feel anxiety in anything he asks you to do. The only time a sense of pressure is legitimate is when you keep saying no to God. That is a relational pressure that comes from holding God at arm’s length. Satan wants to drive us compulsively in the things we do, but God doesn’t work that way. God wants to draw us compassionately. He’s the shepherd who wants to lead the sheep. He doesn’t drive us; he guides us. And, as sheep, we need to listen for his voice. Philippians 4:6-7 describes the attitude you should have when you listen to God’s voice. “Don’t worry about anything; instead, pray about everything. Tell God what you need, and thank him for all he has done. If you do this, you will experience God’s peace, which is far more wonderful than the human mind can understand. His peace will guard your hearts and minds as you live in Christ Jesus” (NLT). It’s not just a matter of hearing God’s voice; it’s also a matter or responding. Hearing is not enough. You have to act as well. Foundations is a comprehensive tool for teaching the essential truths of Christian faith in a simple, systematic, and life-changing way. The 24 sessions, taught by Kay Warren and Tom Holladay, will take you on a thought provoking, life-changing exploration of 11 core doctrines: The Bible, God, Jesus, The Holy Spirit, Creation, Salvation, Sanctification, Good and Evil, The Afterlife, The Church, and The Second Coming. Say Yes To God: A Call To Courageous Surrender by Kay Warren. God created you for an adventure of trust. Kay Warren will teach you how to follow the God who deeply loves you. Although the church has used the pronoun “He” for centuries — because English lacks a suitable substitute — we see the character of God extending far beyond any male-specific definition. Also, some people see the God of the Old Testament as violent compared to the “gentle Jesus, meek and mild;” but in these verses from Isaiah and Psalms, we see the compassion and love of the God of the First Covenant. Today we thank God for the gift of mothers and those who mother. Isaiah wrote that God is a mother to us, comforting and carrying us in her arms. As one whom a mother comforts, so I will comfort you. Isaiah 66:13.
knows each one of us just as a mother knows her own children. Can a woman forget her baby at her breast, feel no pity for the child she has borne? trusting his God like a child safe in its mothers arms. mother-hen gathering her chicks under her wings. and may we share this love with others. 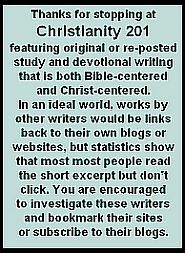 When I asked our friends at Daily Encouragement if that had any sources to recommend for us here at C201, they mentioned one and one only, a marriage enrichment blog by Sabra and David Penley called Simply One. However, you don’t have to have been married to see why their writing came recommended. We’ll probably draw from this resource sometime again soon, but for today, I chose the post below (because I really need to read it); click the link to read it at source; once there click the header to look around. Now, many of these things would not usually cause stress on their own. In fact, they often can be pleasurable. It’s not that I don’t enjoy dinners and birthdays and parties and getting together with friends; I just don’t enjoy them coming at once. Put them all together in one week’s schedule, and certain things are pushed aside and not achieved. Just the thought of it causes me anxiety! How does this happen, this over-scheduling?! Obviously, I’m the one who writes it on the calendar. Don’t I notice how full the days are becoming before I make the commitments? Nevertheless, this frenzied week was upon me. And I wasn’t happy. As I looked at the hectic schedule shouting at me on that calendar, I felt the stress pouring through my veins. My attitude took a nosedive and an overwhelming feeling took over. All I wanted to do was sit and sulk. That’s what I desire when I get overwhelmed. I just want to shut down and do nothing. Well, actually, it isn’t nothing. Sulking and sitting are actions…like a little kid pouting when he doesn’t get his way. Yep. That’s a pretty good description. I want to pout…and sometimes I do. It seems we need to get a handle on all of this—these out-of-control schedules that wreak havoc . So, what should we do when faced with an upcoming wild week? “There is a time for everything, and a season for every activity under heaven…” “What does the worker gain from his toil? I have seen the burden God has laid on men. He has made everything beautiful in its time…” “…there is nothing better for a man than to enjoy his work…” (Eccl. 3:1, 9-10, 22). Many times we have more on our plates than we think we can handle. But His Word tells us that if God has allowed it in our day, He has a purpose in it and it is a part of His plan. We must remember this and gain a better perspective. Each activity needs to be seen as a God-given opportunity to serve Him, to find the beauty in what we do, and to rejoice in the experience. This certainly applies here. A hectic agenda can be as overwhelming as trying to eat an elephant all at once. Yet, we can victoriously conquer a busy week by taking it day by day, hour by hour, activity by activity. Change what can be changed. Look to see if anything on the schedule can be postponed until a less busy week to allow some breathing room. Be flexible. As you go through the week, some things may get cancelled; others may need to be added. Some usual weekly activities may need to be postponed until next week. When a crazy week threatens to take you down, trust the Lord’s calming grace to help you stand firm and be victorious. Dearest Father, when we are faced with an overburdened calendar and we start to be overwhelmed, give us Your perspective and guide us in each step. Fill us with Your strength and ability to be victorious and complete each needed activity with excellence, all the while rejoicing and giving thanks. Help us to keep our focus on You, Your purpose, and Your power, trusting You to make everything beautiful in Your time. In Jesus’ name, Amen. This article is by Dan Miller and appeared at the blog Sharper Iron, from which an article by a different writer appeared here on December 13th. There is much good reading at this site, I don’t think we’ve ever visited the same webpage twice in one month! Click here to read today’s article at source. The gospel according to Luke records that on the night of Jesus’ birth an angel of the Lord appeared to shepherds keeping watch over their flocks in a field outside the Judean village of Bethlehem. The angel announced “good news of great joy” which included the benediction: “Peace on earth” (Luke 2:10, 14). Peace had come to earth in a person. The “Prince of Peace,” prophesied centuries earlier by the prophet Isaiah had come (Isaiah 9:6). In a mystery never to be fully fathomed, the “Mighty God” and “Everlasting Father” was born a child with flesh and blood to dwell on earth for a season (Isaiah 7:14, 9:6; John 1:14). And as the Bible repeatedly demonstrates, whenever the living God comes to dwell among his people, he always brings peace. But what is peace? The word is not difficult to define. Peace is the calm that prevails in the absence of war. It is the serenity that marks freedom from hostilities, strife or dissension. Peace is a paucity of agitation, upheaval or chaos. Although used in an array of contexts, the definition is fairly straightforward. Peace is far more difficult to identify and experience. There is peace which is really no peace at all. False peace shatters many lives and poisons many souls. There is peace in the midst of hostility—peace that operates at full throttle in the war zones of human experience. There is peace as ethical responsibility. There is peace we desperately want, but can do nothing to attain. In the midst of a holiday season in which peace is commonly announced but too seldom experienced, a few spiritual reflections on peace may be fitting. Many draw their understanding of peace from self-determined assumptions; I offer here meditations rooted in biblical revelation. The peace on earth announced by the angelic messengers to the shepherds on the night of Christ’s birth was rooted in God’s grand salvation plan. That concept of peace included several components. Peace as an attribute of God. God is the source of all peace. Peace flows freely from his being. God executes and finishes wars, he does not start them. He is not a pugnacious God who is always looking to pick a fight. God is a God of peace who will not rest until peace reigns on earth. This goal requires war (Rev. 19:11-20:15). Yet war is a necessary consequence of sin, not a product of God’s nature. Peace as a gift of God. The ultimate war is between sinful people and God. In his boundless grace, God issues his moral law for the good of humanity. For our good, he commands us not to cheat, steal or lie; not to yield to lust, pride, greed or gossip. He commands us to love him with all our heart, mind, soul and strength and our neighbor as we love ourselves. But we respond to God’s law by running our own way and doing our own thing. This rebellion renders us enemies of God in his perfect righteousness and renders us objects of his just judgment (Rom. 5:6-8). But in his mercy, God provides justification—imputing the righteous standing of Christ to the account of those who trust in Jesus’ death and resurrection to secure their salvation from the punishment of their sin. Jesus bears the penalty of our sin and dies in our place; we receive his righteous standing and live. What is the result? “Since we have been justified by faith, we have peace with God through our Lord Jesus Christ” (Rom. 5:1-2). This is the quintessential peace on which all other experiences of peace ultimately depend. Peace as an ethical responsibility in relation to others. Those who receive the gift of peace with God are called to pursue peace with others. This is not always possible, but as far as lies within us, we are to be peacemakers on earth (Matt. 5:9, Rom. 12:18). The peace God gives at the cost of sacrificing his Son serves as the ultimate motivation for his followers to seek peace in all their relationships. 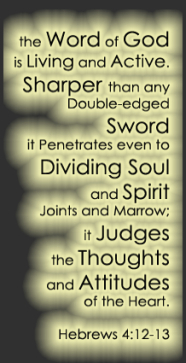 Peace as a disposition of the soul. Believers who have received the peace of God as a gift, continue to battle the agitation of soul that comes with life in a troubled world. In consequence of what Jesus has done to secure peace with God, his followers are liberated to “not be anxious about anything, but in everything by prayer and supplication with thanksgiving” to make their prayerful requests known to God. As they obey this directive, the Bible promises that “the peace of God, which surpasses all understanding, will guard your hearts and your minds in Christ Jesus” (Phil. 4:6-7). The orientation is not to search for peace within; it is to experience inner peace by means of a dependent relationship with God. Peace as a condition of nature freed from the curse. The peace on earth Jesus came to establish will ultimately encompass the physical universe. When Jesus calmed the storm that was riling the Sea of Galilee, he did not simply say “Stop.” He said, “Peace, be still” (Mark 4:39). This miracle foreshadowed the day when the returning Christ will suspend the earth’s curse. The desert will blossom as a rose, the lion will lay down with the lamb, tsunamis, earthquakes, hurricanes, tornadoes, straight-line winds and volcanoes will all cease (Isa. 11:1-11). In that coming day, peace will reign on earth—just as the angel said it would. May peace with God, and the peace of God, rest upon you. I saw this on Brian McLaren’s blog… it’s actually from the devotional blog iDisciple, the author is N. Gordon Cosby and it appeared under the original title Trust The Stream. Water imagery flows (pardon the pun) through scripture, and so we don’t forget, over 70% of the earth’s surface is water. I’ve added a related worship song video (audio only) at the bottom; Psalms Alive is one of my favorite worship song collections. “There is a river whose streams gladden God’s city…” (Psalm 46:4, CEB). The stream flowing through our lives is from eternity to eternity. It is artesian. It is totally adequate. Everything we need is borne by that stream. Its origin is the realm beyond, and it carries infinite resources. In this space-time realm, conditioned as we are, the stream can seem to be a trickle. It seems puny against the drugs we’re battling, against the divisions among us or the power of greed that fuels our economy. When we’re up against all the world’s needs and lacks–the way we perceive life–the stream seems inadequate. But in fact, it is a powerful, surging, cleansing tide that purifies all it touches. It is a grace torrent. It flows irrespective of merit. It carries everything that a human being has ever needed–and could ever want. Whatever we need will flow by at just the opportune moment. Our problem is that we’re not attuned to the stream. We don’t see it. We’re not even looking in the river’s direction. But when we wait in expectancy, looking at the stream and then recognizing what we need as it floats by, we simply reach out and take the gift. It’s an effortless way of living. Usually we’re not attuned to effortlessness. We’re too busy striving. We’re holding forth and carrying on and trying to reach our goals. The wisdom of the stream is the opposite of this. What I’m talking about is moving from a conceptual awareness of God’s care–the idea of God’s providence–to trusting the flow of that stream that carries everything we need and will bring it at just the opportune moment. Jesus found it difficult to understand his disciples’ anxiety. He was so in the river, he was so aware that the stream carried everything that was needed, that he couldn’t understand why others were having so much trouble with the idea. What he says is to set our minds on God’s realm, God’s justice, before everything else. Everything else will be given by the stream. This is different than achievement and different than making things happen. Do not be anxious about tomorrow, Jesus says. You’ll have plenty to think about when tomorrow comes. Now the stream is flowing. Once we get accustomed to noticing the stream, and we spend more time near the stream, taking from it what is being given, there comes another step: actually getting into the water and resting in its flow. Even when the flow is a torrent, we know we are safe. We trust the flow. We become non-resistant. We become receptive. We trust the power of the divine presence, which longs to take our one little life to its divine destination. Even if we’re in deep water, we trust the flow and are not afraid. We simply wait in expectancy to round the next bend, looking in wonder at the view. Always a new view. Effortlessness, expectancy, and wonder are how we live, rather than striving. Gordon Cosby, along with his wife, Mary, established Church of the Saviour in Washington D.C. in 1947; Gordon entered into the full presence of God earlier this year, well into his 90s. This meditation is reproduced with permission from inwardoutward.org. There are certain ‘go-to’ blogs where I know I can always find good content. One of those is Claire in Auckland, New Zealand who writes at One Passion, One Devotion. This appeared there at last week’s Five Minute Friday feature. Psalm 121:1 I lift up my eyes to the hills— where does my help come from?Psalm 123:1 I lift up my eyes to you, to you whose throne is in heaven. He is our view. Let us fix our eyes upon Him, the author and perfecter of our faith. With so much instability and fear in the world today, we must cling to Jesus and fix our eyes on Him and view life through the eyes of trust and faith. God is always good. In every challenge and every circumstance, He is good. He can always be trusted. He is in the business of turning anything bad into everything good. He breaks open prison doors, He sends whales as coast guards, He tells the paralyzed to get up and walk. And He raises the dead to life.